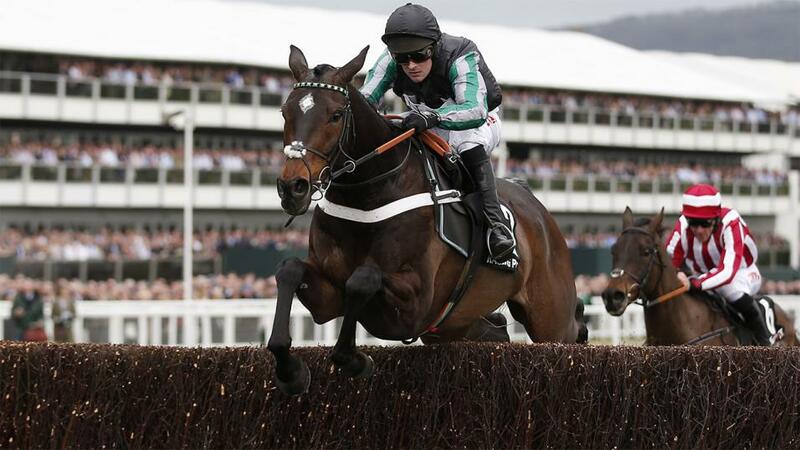 "Of the lay-contenders on Wednesday's card, some will take opposition to Presenting Percy. Its form looks solid enough to me, though, and my attention will be on the opener and the Queen Mother Champion Chase..."
A cracking start for this column at the Festival, with two of the three recommended lays of short-priced favourites returning a profit. Both Getabird and Apple's Jade were soundly beaten, and while Footpad's impressive victory denied us the treble, we go into Wednesday with a healthy profit to attack some more weak favourites. Samcro has all the credentials for a Festival favourite in a novice hurdle: an Irish raider; visually impressive in his races to date; and a string of victories to his name. I'm a layer at odds of [1.76], though. This is the furthest that Samcro will have been asked to race over hurdles, and when running on soft ground last time out, he ran a relatively slow time. Asked to go further still here, at breakneck speed, the short-priced favourite could struggle. Wednesday's opener boasts a competitive field, too. Black Op and Next Destination have arguably the slightly better form, and although its performances are up-and-down and few will consider the rank outsider, Ahead of the Curve could surprise if running to his Doncaster form. It's unsurprising that last year's impressive Arkle winner, Altior, is favourite for this, but odds of [2.16] are ridiculously short for a horse with some things left to prove at this grade over fences, especially given the competitive nature of the field. Since last season, Altior has had a wind operation, and although the horse has won since, that Newbury race was relatively slow and had only three runners. Altior may well be able to run to his best form here, but there are question marks that make such short odds unattractive. What's more, it's not entirely clear that his best would guarantee a win. Douvan, Special Tiara and Min can all claim to have better performances to their name, and whilst they do not have the consistent record of the favourite, they are all capable of pushing Altior to its limit on their day.